Hello Fabricworms! There's no shortage of great collections that go through our store. One of our favorite designers has released her latest collection, and we couldn't be happier! We want all our Fabricworms to have a chance to win a bundle from Denyse Schmidt. This week we will be giving away a free fat quarter bundle of Franklin in Glen. Enter to win! This giveaway ends on Sunday 2/15 @ 12 pm PST. The winner will be contacted shortly after by email. The winner will be chosen by randomly through Gleam. This is a GREAT give-away! Fingers are crossed that I win! Blues are my favorite and I would probably make something for all these baby boys that are coming along! I would love to make something for my cousins. My favorite color is green. teal.. I think I would have to make a nice cuddly quilt..
LOVE this bundle! Beautiful colors + great designs = an awesome future project! Love this bundle. Thank you for the giveaway. I am working with a new sewing machine and itching to try new fabrics. These are wonderful!! Give a missionary some love! I would love to create some fun bags and accessories with these! This is a beautiful bundle! Not sure but this is a great giveaway for my next project! I would love to make something for my mom! I would have to go with a cool top for myself! The fabric is lovely. I would use it to make a baby quilt for my newphew's newborn. Gorgeous. Love those vintage-y patterns! Teal. With the fleece it would be the beginnings of a blanket/quilt. Oh the things I could make!! Oh goodness I think I would make some pants for my youngest. oh goodness, what to do what to do, probably a lap blanket! What a beautiful line of fabric. My fingers are crossed. Beautiful fabric! Would make some lovely summer outfits for my toddler. Love this fabric! I would make a quilt! Yay! Just finished a quilt with her Hadley line! Great Give-Away! Thanks for the chance to enter. That collection gives me so many ideas of things to make. Love these colors!! I am ready to make some beautiful things!! Something for babies/kids - such a lovely, cozy feel! Love these! Thanks for a chance to win! I love Denyse Schmidt fabrics! I would use these for some new pillows for our couch. We just painted (okay, hubby did it all) the living room so I need something new in there. I'd make a robe out of the organic fleece, and Sky is my favorite of your fleece colors. These would be fabulous in a quilt. Beautiful colours and designs in this collection!!! I'd love to cut into it!!! Honestly, I would likely hoard. :) Thanks! These fabrics are awesome and I love the colours and designs. I would make a quilt. I love Denyse Schmidt and love the chance to win a FQ bundle. Thanks! The bundle of Franklin in Glen is beautiful. Love the colors and prints. The colors in this collection are lovely! I'm collecting green and blue fabrics to make a modern quilt for my 6'4" nephew. Some fabrics in this line look like they'll work well in that project. Love the colors and prints of this Franklin in Glen bundle. Great fabric. I love how "happy" the green is. I would love these fabrics for a quilt for one of my grandsons. I am anxiously awaiting grandchildren, so I would put this lovely fleece to good use making baby items like quilts, stuffed toys, and softies. My favorite color is any shade of purple! Blues and greens are my favorite. I'd make something for my little grandson-maybe a blanket or robe. New baby coming soon and a snuggle quilt would be great. The wide variety of color in the bundle is grand. Thanks for a chance in the giveaway. The fabric is beautiful. Thank you for the chance. I would make a quilt. I would make some gloves, hats and scarves for needy people. I'd use it for a quilt backing for the coziest quilt. My current favorite color are the greens because I'm so sick of snow and want to see something outdoors that's alive! I love greens, and I'd probably make a baby quilt. I love blues. Probably something gender neutral for my lo. I have several softies I have been wanting to make. I have two grandchildren I sew for. My favorite color is green but both the grand's is blue. Just like this giveaway. Thank you for the chance. Love this bundle of fabrics! I would make a tote! I would make pajamas! Thanks for the chance. I would back a quilt or make pjs. 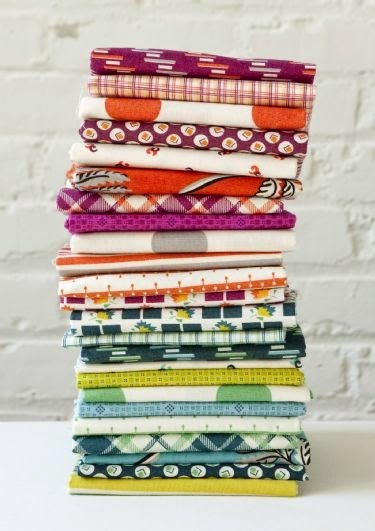 I love all Denyse Schmidt's fabric collections. I would make a lovely nine-patch quilt. Love this line. Thanks for a chance to win. wonderful colors. thanks for the chance to win. LOVE these fabrics - I have just the quilt in mind, too. As for organic fleece, I'd make my own sweatshirt, just the way I want it! Thanks for the chance to win. I love blues and purples and I'd probably make a cozy quilt for the couch. I would make pillows for my grandkids. I love lavender and spring green together. Would love to make a quilt from Denyse's new prints! Yellow is my favorite but I would choose blue or pink for my youngest grandkids. I'd love to use this fabric in a quilt for my boys! i love the fabric! please pick me! This would be a great quilt backing. This is lovely! Would make a beautiful quilt! I would make something for my grandkids. Love all the blues! 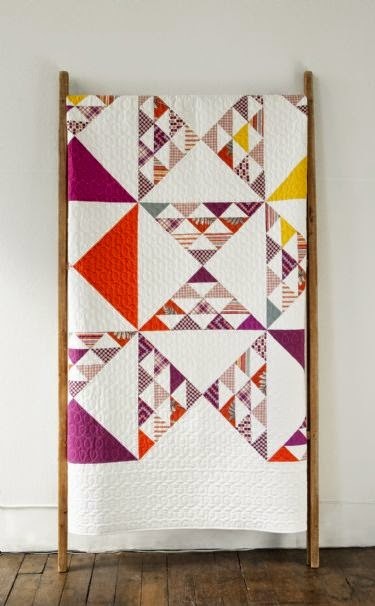 I have made some of my all time favorite quilts with fabric from Denyse Schmidt…can't wait to see this line! Love this. Wish I could enter. The widget will not work for me. Frustrating. New England colors spectacular love this line, congratulations! I love the colors of this fabric and the print. I have only been sewing for about 4 months & would love to create another amazing project with them. Would use the fleece as backing and my favorite color is aqua. This bundle would make a great quilt! Thanks! These are my favorite colors and would love to make some beautiful pillows for the sunroom. I would be so happy to win!!!! I love this fabric! I'd make a fleecy wrap! My favorite color of fleece is turquois! I would make a lovely blanket for my little girl to cuddle under! I love this brautiful fabrics!!! I love everything Denyse Schmidt produces!! Yummy. Love DS. Have not gotten the last few lines so I want this one. My favorite color is blue. The fleece would make a great backing for a snuggle quilt. I'd like to make a wall hanging for the entry of my home. I love all patterns and shades of beige for fleece. Lovely fabric - great colours! I would make a baby blanket! Love Aqua! I would use it to make pajama pants and my favorite color is blues and teals. Thanks for this giveaway! Two yards of blue fleece would be a warm & cozy backing for the quilt top I'm currently making...in scrappy blues, my favorite color! I'D MAKE A CHARITY QUILT! With 2 yards I could create something warm and cozy for 2 Great Grand babies making it into this wonderful world. definitely an inspiring bundle! Would love this. This fabric would be great for some cushions for my daughter! thanks! A blanket and turquoise is my favorite. Love the fabric! Thanks for the give away!! Wow what beautiful colors. Hope I win. I love the barbell print in this line! I would choose a neutral color like white or gray and back a quilt with it. Fun colours, nice in my daughter's room! The organic cotton fleece would be perfect to back a baby quilt. I'd pick sky or natural. Thanks for the great giveaway. That teal is to die for! My 7 yr old has been begging for a super soft blanket and I would give in and make him one with that super cozy fleece! What a great give away!!! Thanks! Denyse Schmidt is one of my favorite designers. I don't have Franklin yet - and I want it. This is a fantastic giveaway! Thank you. You can't go wrong with Denyse Schmidt fabric! I love all shades of blue and I'd make a pijama. Thank you for the chance! I love the color of this bundle! Beautiful! I'm going to quilt week in Paducah, KY and this is perfect for a quilt class I'm taking!! The teals are my fave. Kristine Clay: a new sweatshirt! These fabrics are awesome - I have 3 grandsons and I would love to make them something each - a camp shirt and shorts would be fantastic. Some pj pants for my boys! Would love this for my grandbaby on the way! Love the cool colors. Perfect for spring! Beautiful fabrics, love to win. Thank you. I would love to make a quilt with this great give away! I am learning to quilt and would love to use the fabric to make a quilt. My favorite color is blue and also orange .... actually hard to pick as each grandson loves one of those colors. teal, for a baby hoodie. or maybe backing on a baby quilt.